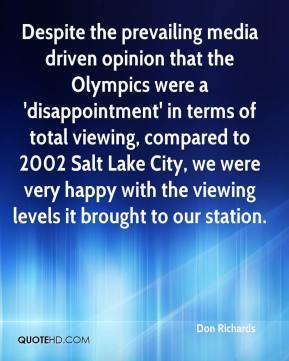 Despite the prevailing media driven opinion that the Olympics were a 'disappointment' in terms of total viewing, compared to 2002 Salt Lake City, we were very happy with the viewing levels it brought to our station. They write to me as if I'm one of their friends, one of their buddies. 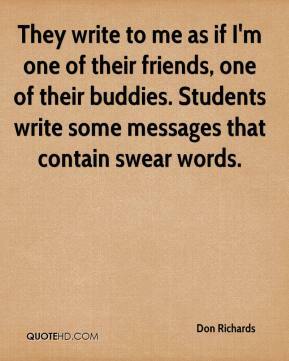 Students write some messages that contain swear words.